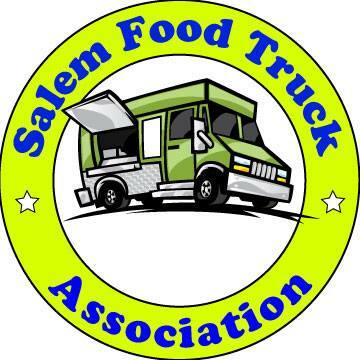 There have been a lot of changes recently in the Salem restaurant scene. Here's an incomplete list of what's going on. Let me know if you've seen anything new or go out of business. Pita Pit opened last Thursday & it's good! Also, I read in the SJ that Great Harvest bakery opened a new location in West Salem. Ah, so that's what the construction at Center & 17th is. I'd wondered. I understand Pita Pit has late hours. Nice to have that option. As far as I know, it's Noble's that's under construction at 17th & Center. At least that's what a friend of mine in Public Works for the city said. But possibly the Off Center will expand into the space that Noble's was in? It's the same owner as Noble's, and not Off Center. I can't remember what Duncan (owner of the Off Center) said if it was going to be an extension of Noble's or another restaurant. I'll find out again this week. There's a sign out in front of a building under construction on Center street that says "Off Center Cafe." I assumed that they would be moving in there? Dessert Diva on Edgwater in West Salem. One of the waiters at off center told me that the owner of Nobles is building _another_ bar there. So off center isn't going to be there and Nobles may stay where it is. Why you'd open another bar in the same parking lot and compete with yourself is beyond me, though. The place across from Noble's Is called Johnny's Bar and grill. Steak house consept. Did the Pita Pit twice this past weekend. Very enjoyable - I had a Gyro-style the first time and Chicken Souvlaki (notice a trend?) the second. It's sort of "Subway with Pitas" in that you order the base sandwich and then instruct the sandwich maker on all the other ingredients you want added to it. Then they add the meat, fold the top of the pita down inside and the bottom up around the outside, and wrap it all up in paper. Very handy, very low mess. I'm impressed. Oh - and if you get your meal as a combo ($1.95 extra) you get a ridiculously large cup (32oz? maybe, at least 24oz) for a drink and a bag of chips. And you get two punches on your frequent flyer card instead of just one (10 gets you a free pita). Lunch for two came to $15.15 the first day and $15.30 the second. Not out of line for downtown, I think. Opening soon on Lancaster - a new Vietnamese restaurant named, "Super Pho". I saw that too, M2D, but maybe it's just a coincidence? I couldn't find any other mention besides the Hawaiian place.